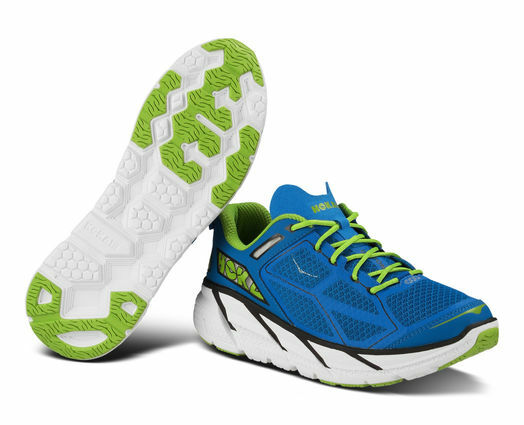 Want a shoe that's lighter than the Kinvara but has the sweet Hoka cushion? The Clifton is here to give you just that. Weighing in at 7.9 ounces, comes pre-loaded with regular laces, and has a 5 mm heel to toe drop with twice the cushion of a typical running shoe, the Clifton is built for speed and distance. An early stage rocker (like the Bondi) gives the shoe the propulsion through the gait cycle that most need to not get bogged down in all that soft EVA foam.